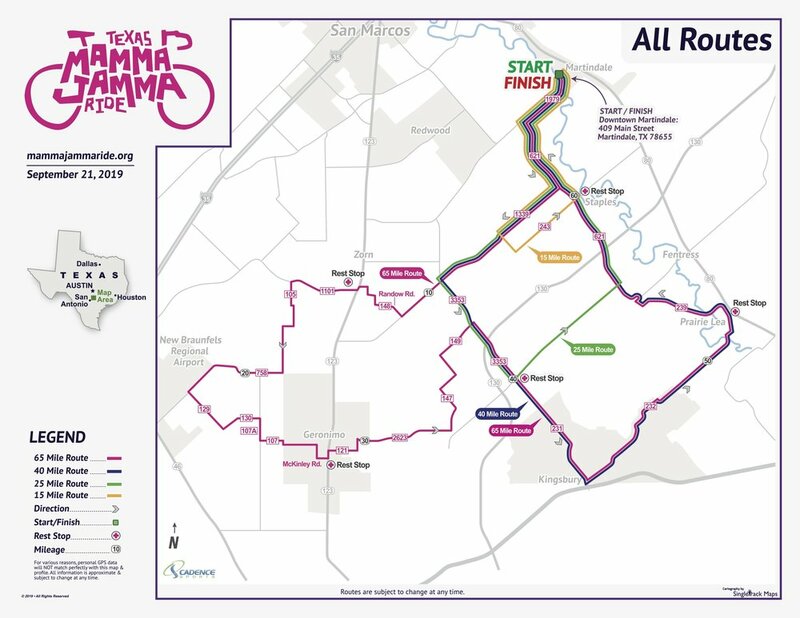 In first ten years, Texas Mamma Jamma Ride has returned almost $1.7 million to its beneficiary organizations; Breast Cancer Resource Center, Komen Austin, Ascension Seton, Team Survivor, Wonders & Worries, Community Action Central Texas, and Sustainable Food Center. Mamma Jamma is a 501 c 3 nonprofit organization and a year-­round endeavor of breast cancer awareness, fundraising, and cycling. Be sure to like and follow Mamma Jamma on social media (Facebook, Instagram, Twitter and LinkedIn) and check this website for additional information and updates about the ride. Please contact our Executive Director, Marion Martin, at marion@mammajammaride.org with any questions. 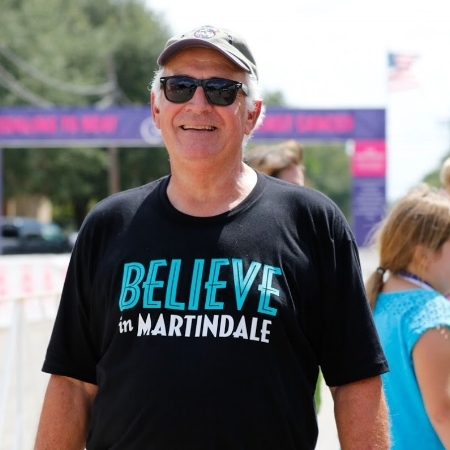 Located on the banks of the San Marcos River, Martindale is 8 miles east of San Marcos. This charming Texas town opens up its historic Main Street to host a street party for ride participants and spectators. The countryside offers scenic views, friendly neighbors, and lovely country roads for our cyclists. Pick a distance that fits your comfort level: 15, 25, 40 and 65 miles. The routes are great for new cyclists and seasoned riders. You don’t need an expensive bike to get out there and pedal for the cause, you just need one that’s comfortable for you. 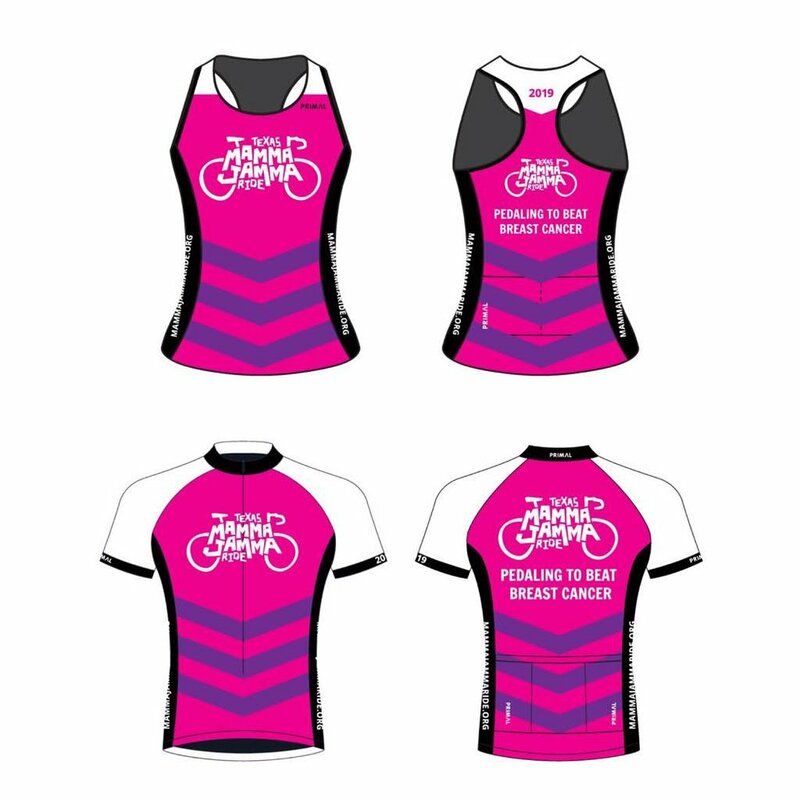 Texas Mamma Jamma Ride offers Primal limited-edition custom jerseys every year in Sport Cut and Tank Top styles. Visit the Primal Store to order the 2019 Jersey.